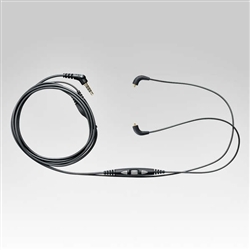 This accessory cable transforms your detachable Shure Earphones (SE215, SE315, SE425, SE535) into a stereo mobile headset. Integrated three-button remote and mic allows you to adjust the volume, control music and video playback, record voice memos, and answer or end calls. 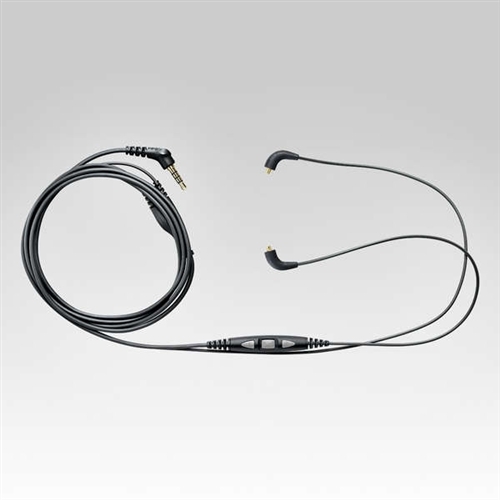 Includes CBL-M+-K-EFS Earphone Accessory Cable and user guide. Remote and mic supported only by: iPod nano (4th and 5th generation), iPod classic (120GB, 160GB only), iPod touch (2nd and 3rd generation), iPhone 3GS, iPhone 4, and iPad. The remote is supported by iPod shuffle (3rd generation). Audio is supported by all iPod models. Requires latest iPod software.